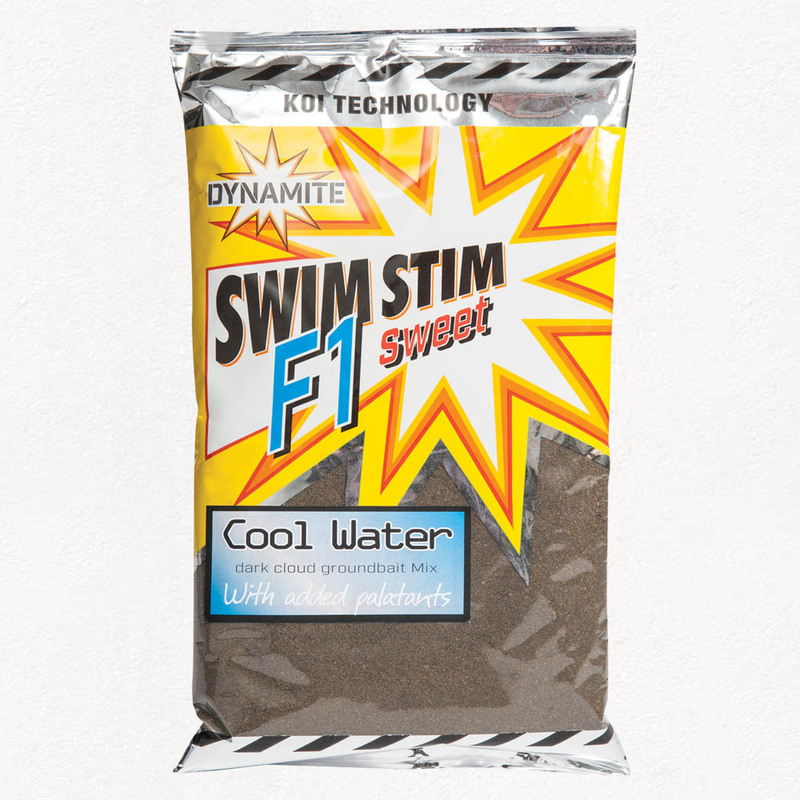 Following the huge success of the original Swim Stim F1 Sweet Groundbait the NEW ‘Cool Water’ version offers all the same fish loving ingredients but in a darker and more subtle blend making it ideal for fishing in cooler conditions. A sweet and creamy blend of all season attractants, this low feed content groundbait made with Koi technology, is designed to draw and hold F1’s, carp and silverfish in your swim for longer. Its dark colour suits wary fish in cold and clear water conditions and with this in mind we have also slightly reduced the amount of palatants than in the original F1 Sweet so when the temperatures fall the fish stay in your swim for longer. The groundbait can be used as it is or as part of a groundbait mix to darken or add extra attraction. We recommend adding small amounts of water or the matching Pellet Soak, little and often to create the perfect fluffy mix. Can be fed via a pole cup, in a feeder or by hand.